Ask a career expert about the most effective job search strategy and you will universally hear the response: "networking." Perhaps the most valuable networking resource for college grads is the alumni body from their school. Here are some of the best ways to connect with alumni and take advantage of this powerful resource. What is a College Alumni Network? A college alumni network offers a way for college graduates to stay connected. Alumni networks serve as an association of former students from a university, fraternity/sorority, club, or region. Often maintained by the college’s career services or alumni affairs office, the alumni network contains information on each graduate’s career, residence, and contact information. Alumni can access the network to ask for career information or job search advice from other alumni. College alumni networks are an excellent way to make contacts in one’s field or to get help starting on a new career path. 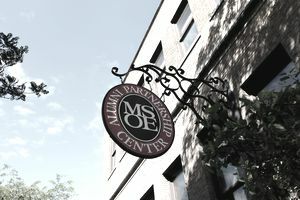 A college’s career services or alumni affairs office may also hold events for members of the network so graduates can network in person. They organize socials, send out newsletters, do fundraising, and create a window of opportunity for networking and business relationships. Conversely, college alumni networks are also available as a mentoring directory for current students. Many schools allow undergraduates or those looking for advice from a professional can contact alumni through a portal in order to gain insight into postgraduate life or career advice. Contact the career services and/or alumni affairs office for your college and inquire about any database of alumni volunteers. Mention that you are looking to contact them for information and advice about your career or job search. Normally, you can search for contacts by geographic area and career field. Compose an email or letter like the following to try to set up an informational consultation. Attend College Events: Another great way to connect with alumni is through events sponsored by the career office, alumni office or regional alumni clubs for your college. Some events will have an obvious career related theme like speed networking or career panels. Other programs like gallery or museum visits, lectures or social gatherings will also provide a comfortable opportunity to meet alumni while pursuing a common interest. Events will be offered on campus as well as in various cities with significant alumni populations. Check the websites for the career office, alumni office and local alumni clubs for ideas. Get Questions Ready: Prepare questions so you are ready to engage alumni at events. Devise a brief introduction which will give alumni a summary of some of your key assets, interests, and aspirations. Bring a resume to career-focused events and a business card with reference to your LinkedIn address or a website with your background information for other types of events. Schedule Informational Meetings: Try to schedule some informational consultations with alumni at their job site as a follow up to your interactions at events. You can either do this at the program or afterward via email if you have secured business cards. Your email would contain language like "I really enjoyed meeting you at the gallery reception. Your work in marketing sounded quite exciting. Might it be possible for us to meet for an informational consultation so I can gain a more complete understanding of what it takes to build a career in the field?" Use LinkedIn: Make sure that you join any LinkedIn groups for your college. Compose messages emphasizing that you are fellow alum with a keen interest in their field. Make sure your profile is fully developed and then reach out to alumni in target fields and try to schedule some informational meetings or phone consultations. Use Social Media: Social media provides excellent opportunities to connect with alumni. You probably have some Facebook friends from your college who are working in a field of interest or who know someone who might be of value to you. Review your roster of friends and message anyone who might be a good prospect or post a status update like "I'm exploring career options in technology consulting and would love to speak with you if you have any insight into the field. I would also welcome introductions to any of your contacts working in the field for an informational consultation." If you follow some of these suggestions, you will find that alumni networking can be a vital component of your overall job search campaign. Hopefully, when you are in a position to help you will return the favor and assist other members of your college community.